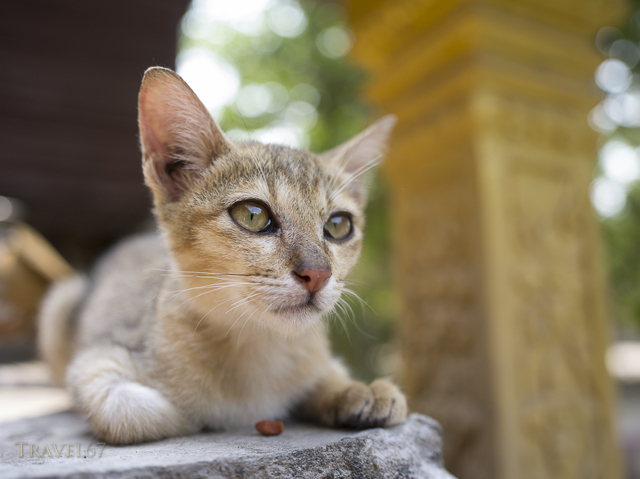 Siem Reap Pagoda Cats is a small organization trying to help the stray cats that live in around several Buddhist temples near Siem Reap, Cambodia. 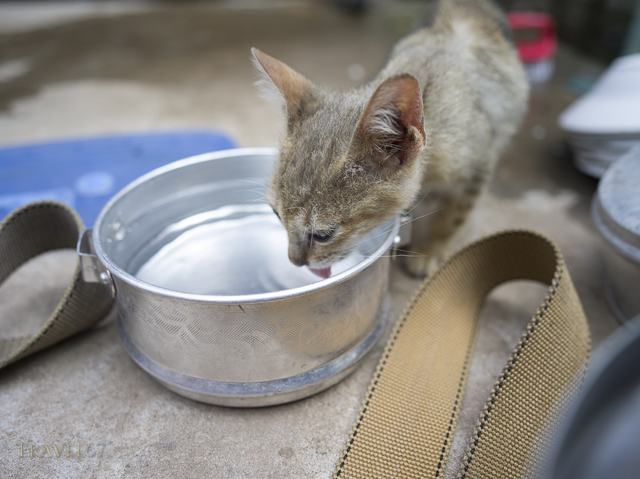 French ex-pat Josette Vanneur does a daily tour of the temples making sure the numerous felines have food and water, along with arranging medical care including neutering. 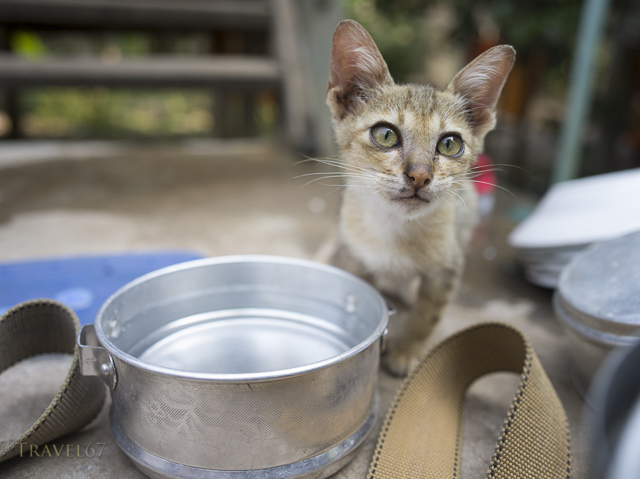 If you like cats, or just want to read about someone trying to make a difference, visit their Facebook page Siem Reap Pagoda Cats. Lovely shots of these cats, Chris! By the way, are you getting the new Pentax 645Z?! Thanks Tord, Yes I’ll be getting the 645Z as soon as it is available.